Here is a story of one of the greatest legends of our time. Mr. Subramaniam Nagaratnam, affectionately called “Uncle Naga” by his youngsters and “Naga” by his co-workers, has left permanent traces through his indelible services that were carried out for more than half a century. Nagaratnam accepted the Faith on Sunday, 23 June 1963 and served the Cause of Bahá’u’lláh for more than half a century. It has to be mentioned at the outset that Nagaratnam, a multi-talented and multifaceted worker had served the Cause with such a driving force and dynamism that was unparalleled in many ways. He shall always be remembered as one of the greatest workers of the Cause in Malaysia, an eloquent exponent of the teachings of Bahá’u’lláh, and an indefatigable supporter of the Bahá’í institutions. The believers who were closely associated with Nagaratnam would always feel most keenly the loss of so precious and faithful a co-worker who had proved of such invaluable assistance to the growth and maturation of the Faith. His passing has robbed the community of one of the greatest workers of the Cause, whose shining example shall be emulated by generations to come. It was through some divine providence and dramatic events that Nagaratnam came into the Faith, through Theresa Chee, first believer of the town of Alor Setar in the state of Kedah in Malaysia. He was not an easy enquirer for Theresa. Nagaratnam had some strong views in life as one of the founding members of the National Union of Teachers that later evolved into the National Union of the Teaching Profession. He was also very influenced by the Dravidian Movement that was making great waves in South India. As such he had many revolutionary ideas and loathed blind imitations of the past and blind superstitions. He was also a prolific writer and scholar in the Tamil language and had read widely on Indian traditions, customs and culture. Even at an early stage in life, Nagaratnam had gone deep on Hindu scriptures. Theresa believed that Nagaratnam, with so much resourcefulness, could be a great asset for the Faith. She prayed and started working and winning Nagaratnam for the Faith. In 1963, while Theresa Chee was teaching in a Malay School, the government conducted a major exercise to turn all primary schools into National Type schools. 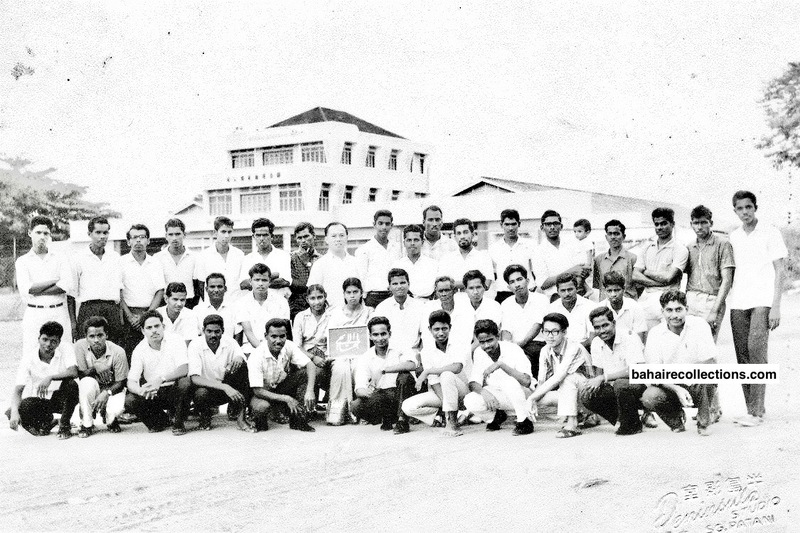 During this time Nagaratnam was teaching in the Sultan Abdul Hamid College in Alor Setar. In fact, Nagaratnam had earlier heard of the Faith casually from a colleague, and later from Appu Raman and Yin Hong Shuen as well. He was not keenly inclined to religion, which he felt was the cause of disturbances in the world. 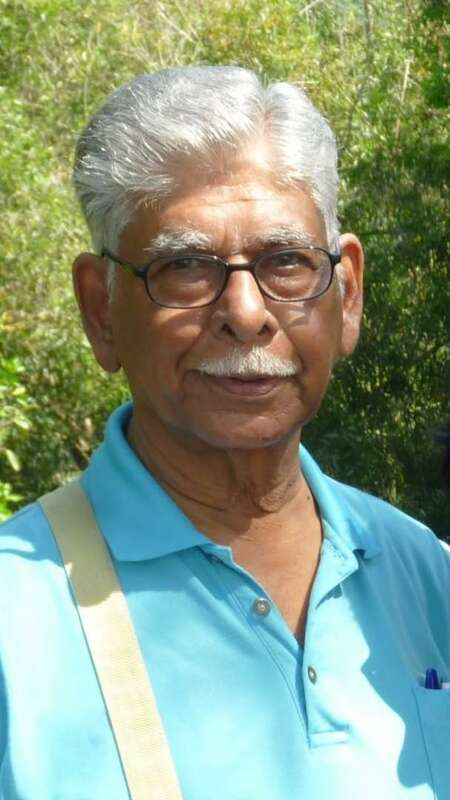 To a question on belief in God, Nagaratnam had reportedly answered, “God and I are good friends – I leave Him alone and He leaves me alone; peaceful co-existence.” Before leaving for the United States in 1962, Appu Raman had whispered to Theresa to encourage Nagaratnam to accept the Faith. Theresa Chee also wanted the influential Nagaratnam to accept the Faith. In 1963, Theresa Chee was transferred to the Keat Hwa Chinese Secondary School in Alor Setar. In the same year, Nagaratnam who was teaching in the Sultan Abdul Hamid College and a Malay teacher from the Keat Hwa Secondary School agreed to a mutual transfer. The Kedah Education Department Officer Mr. Kam Boo Toh asked Nagaratnam if he was serious in getting transferred to a Chinese school to which Nagaratnam answered in the affirmative. Nagaratnam, being a member of the National Union of Teachers, Kam Boo Toh had to be extra cautious and requested him to sign in a letter typed there and then that it was on his request that the transfer was to take place. Nagaratnam complied. With that, Nagaratnam joined Keat Hwa Secondary School where Theresa was already posted. Theresa and Nagaratnam used to meet daily during the recess. At first, she thought he was a very strict person, but she soon learned that he was very friendly with a high sense of humor. When Theresa followed up with Nagaratnam he said he liked the Faith but wished not to be committed to any particular religion. Theresa gave him three books of “All Things Made New”, “Release the Sun” and “Renewal of Civilization” and waited for a response that did not come soon. But he was very moved after reading “Release the Sun” but was waiting for the opportune moment to declare his faith in Bahá’u’lláh. Theresa remained determined. In 1963 Chee Ah Kin, Theresa’s husband who worked as a Technician in the Public Works Department for Roads and Buildings got a promotion and was transferred to Ipoh town. Theresa had to stay on in Alor Setar until the end of the year before she herself could get a transfer to Ipoh town. During this period she was making all efforts to get Nagaratnam enrolled into the Faith. In May 1963, Vicente Samaniego from the Philippines visited Alor Setar on the way back from the First World Congress in London. Theresa Chee invited Nagaratnam, who had a good command of both the English and the Tamil languages to be the translator at a gathering arranged for Vicente to meet some friends. That was one of the strategies employed by Theresa to help him accept the Faith. With the books, he had read and the talk of Vicente that he translated, Nagaratnam became convinced of the mission of Bahá’u’lláh. It was this translation work that he carried out even before becoming a Bahá’í that he carried throughout his Bahá’í life. On 23 June 1963, Nagaratnam accepted the Bahá’í Faith, which became a turning point in the growth of the Faith not only in Malaysia but also in a few other parts of the world where he had served. Nagaratnam did not wait for another moment to escalate to great heights of service. He brought several of his friends into the Faith, such as Phung Woon Khing, V. Subramaniam and R. Kanniappan. He then brought his entire family into the Faith – his wife Rajambal, daughters Remala, Nirmala and Sumathi. His wife Rajambal was such a strong supporter in all his efforts for the Faith and sacrificed much for Nagaratnam. The day he accepted the Faith Nagaratnam made Bahá’u’lláh the center of his life. Each move in his life was to serve the Cause and to please the heart of Bahá’u’ lláh. It was not an easy task for him. He gave every moment of his life for the Faith. No day passed without Nagaratnam doing something for the Cause in his own way. Week days and week-ends were devoted to conducting deepening classes in the neighboring communities. The December school holidays were used to visit Asli communities, East Malaysia or visiting other communities within Peninsula Malaysia. Nagaratnam used to be absent from home to attend to Bahá’í activities for long periods of time. His children and wife missed him very much during these days, but that was the kind of sacrifice the family had to make. When accepting the Faith in 1963, Nagaratnam was very clear of the path he had chosen and the kind of life that was in store for him. He sacrificed all his material means, comfort and ease to lead a simple, but difficult life that only those close to him would have known. Almost his entire income was used for the Cause. 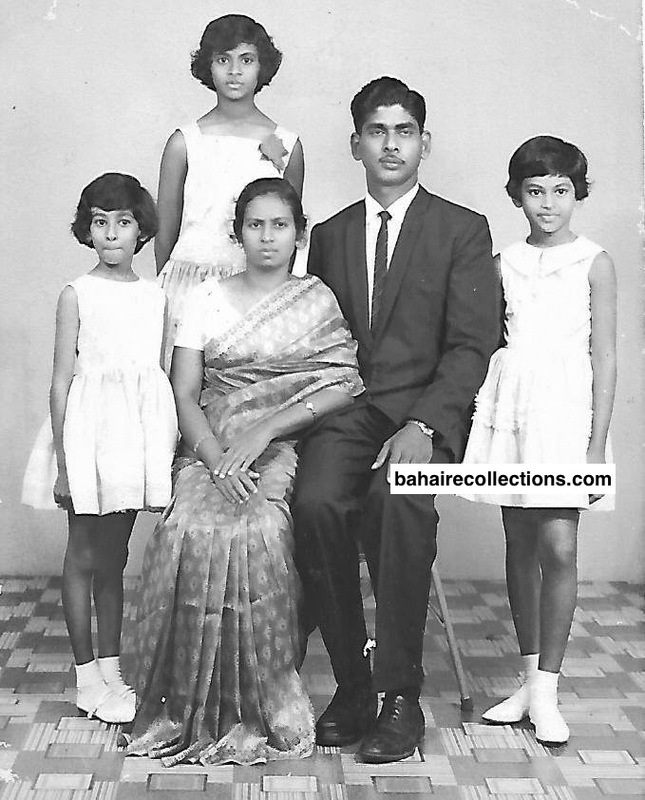 Family of Nagaratnam L-R: Sumathi, Rajambal, Nagaratnam, Nirmala. Standing at the back is Remala. Nagaratnam himself was seen as a colossal figure moving in the community. His passion was sharing the Holy Writings with believers. He simply fell in love with the Holy Words. He was a book worm, reading all the Bahá’í books available. Although there were three Bahá’í centers during his days in Alor Setar, his residence too served like a Bahá’í center with a string of believers, especially youths walking into his house to discuss the Faith and get strength and guidance from Nagaratnam. With Appu Raman and Theresa Chee moving out of Alor Setar it was Nagaratnam who rose up as the heart and soul of the Alor Setar Bahá’í community. It must be said that Nagaratnam was a very imposing and majestic personality in all the places he resided. Teaching Conference held at the Private High School, Sungei Petani on May 12, 1967, organized by the Central Regional Teaching Committee. Nagaratnam is squatting at extreme right. This is a community that Naga nurtured from 1963. When Nagaratnam accepted the Faith he was obsessed with teaching the Cause. He was the prime mover in laying a firm foundation for the establishment of a strong and dynamic Bahá’í community in Alor Setar. Nagaratnam was also instrumental in opening up several other communities in many parts of Malaysia. He was seen as a tower of strength to many friends, especially the Tamil-speaking friends in Malaysia. 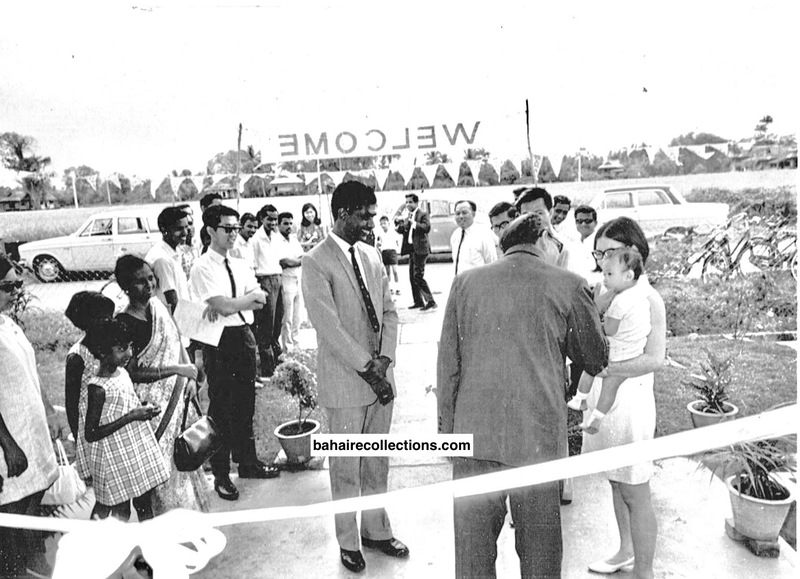 He was also a prime mover of teaching activities in the estate areas. 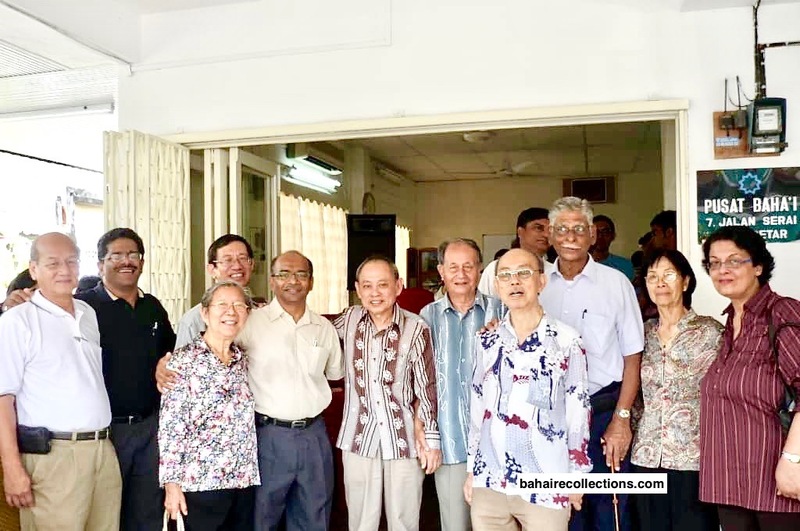 As a member of the Area Teaching Committee and State Teaching Committee in Kedah, Nagaratnam had visited and consolidated a vast number of estate communities in Kedah and had also carried out estate teaching in other parts of the country. His position as a respected headmaster with a good command of the Tamil language greatly facilitated the teaching of estate people and even diffused vehement opposition for the Faith in many quarters. Nagaratnam was also one of those who was an avid reader of Bahá’í literature. As a natural and gifted speaker, he was invited as a regular speaker in almost all Bahá’í conferences, where he always inspired the audience. His maturity and deep understanding of the Faith became very evident during consultation sessions, especially at unit conventions and national conventions. He never missed any convention as he saw conventions as the perfect platform for throwing in suggestions to shape the future of the faith and communities. Nagaratnam had also served in various institutions and committees. He served in various capacities including a member of the National Spiritual Assembly of Malaysia from 1966 to 1979. In 1966 he was on the Border Teaching Committee that served to open up South Thailand for the Faith. When the National Spiritual Assembly was formed, it saw the need for proclaiming the Faith on a grander scale. Nagaratnam was a natural choice when the Proclamation Committee was appointed in 1966. 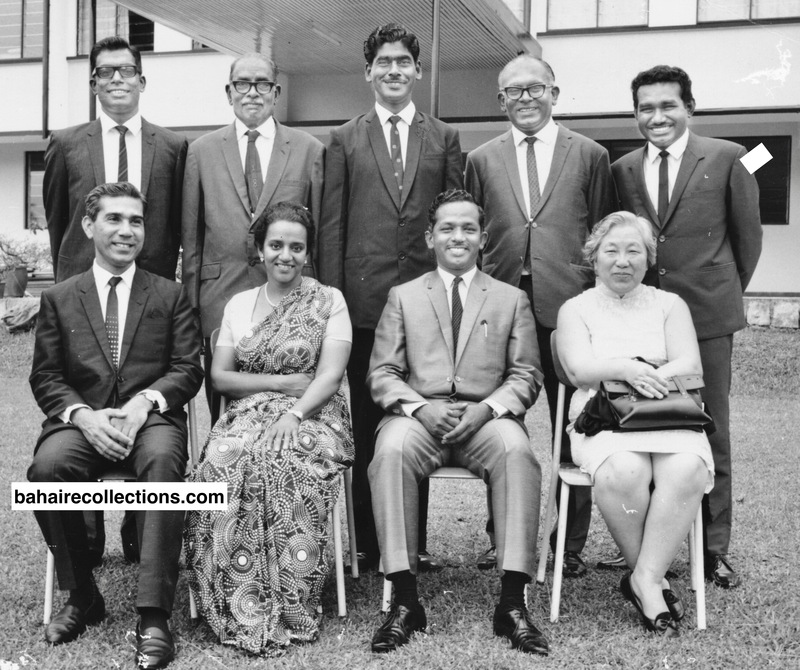 When the Continental Pioneering Committee was transferred from Persia to Malaysia in 1974 the Universal House of Justice appointed, among a few others, Nagaratnam on to that committee. When he pioneered to India from 1979 to 1991 he served as Auxiliary Board Member and Continental Board of Counselors. When the South India Teaching Project was initiated with the blessings of Hand of the Cause of God Dr. Muhajir, the National Spiritual Assembly appointed Nagaratnam to conduct the initial survey and provide his valuable input. National Spiritual Assembly of Malaysia, 1969. Standing L-R- Inbum Chinniah, K. Rajah, Nagaratnam, Appu Raman, Raymond Peter. Seated L-R: Dr. John Fozdar, Shantha Sundram, Anthony Fernandez, George Lee. Nagaratnam served on this national body from 1966 to 1979. Perhaps one of the areas of service that Nagaratnam is remembered for is his commitment to the translation and production of Bahá’í literature into the Tamil language. There were not many who arose to serve in that capacity when he accepted the Faith in 1963. He saw the dire need of getting the Bahá’í literature translated into Tamil. His understanding of the Holy writings was simply impressive. He had a good command of the English and Tamil languages, and so he was able to translate effectively. He also got the assistance of some of the best Tamil and English speaking believers in Kedah such as Kanniappan, V.S. Maniam, and S. Krishnan. One of the earliest tasks was the reviewing of an early Tamil translation of the New Garden, followed by the translation of a booklet entitled “Your Experience as a Bahá’í,” some teaching materials, some Tamil prayer books, some passages from the Gleanings from the Writings of Bahá’u’lláh , and the Hidden Words of Bahá’u’lláh. He was clear that all translations into Tamil were only provisional, as several terms in the original Arabic and Persian languages were still not understood in full. Nagaratnam did not spare his effort. In attempting to do justice for the Holy Writings he consulted believers from the Persian background who visited Malaysia often to get the meanings and the correct pronunciation and root meanings. One of such friends was Firaydun Mithaq a pioneer in Laos who had met Nagaratnam several times in Malaysia. He was also the catalyst of the production of newsletters such as Tamil News Sheet. When the National Tamil Unit came to be established in 1971, Nagaratnam initiated the production of a booklet called the “Laws and Teachings of Bahá’u’lláh.” In 1972 “Oli Udhayam” the first Tamil Bahá’í monthly, with publication permit from the Ministry of Home Affairs was printed and issued from Alor Setar. He served as its able editor. One of Nagaratnam’s favorite activities was leading the believers to understand the Holy Words and falling in love with the Writings of Bahá’u’lláh. He gathered friends to go into the very core and heart of the Holy Words, especially the Hidden Words. He encouraged them to memorize the words. He did this in small groups for both the English-speaking and Tamil speaking friends. 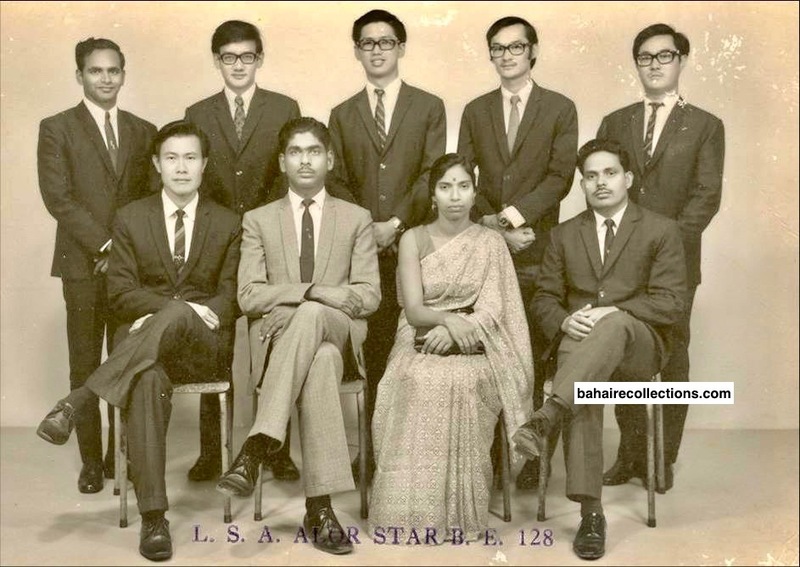 In 1974, he organized a big scale gathering for the Tamil speaking friends in the Alor Setar Bahá’í Centre for key believers from Kedah state. Such gatherings were then repeated in several parts of the country for the Tamil speaking friends. To this day several Tamil speaking friends attribute their understanding of the Holy Writings to Nagaratnam. Nagaratnam and Balasingam (in sunglasses) visiting an Orissa Bahá’í community in Ulu Pedas Estate in the state of Negeri Sembilan. Nagaratnam was a firm believer in getting believers from strong communities moving into weaker communities. In 1976 Nagaratnam decided to move into the Sungai Petani community, some thirty miles south of Alor Setar town. By 1976 the Sungai Petani community had grown very big and needed more manpower. Nagaratnam moved into Sungai Petani to strengthen this community. He learned that the activities in Alor Setar continued well even in his absence. For that, he mentioned that only when old water is removed from a well, new and fresh water will be formed. In Sungai Petani, he opened his house for Bahá’í activities. He also became the heart and soul of the community, taking part in a range of activities. He was instrumental in producing some of the best teachers of the Faith. On the whole, his period in Sungai Petani was a period of dynamism. A major turning point happened in 1978. There was a great vacuum created in the National Secretariat of the National Spiritual Assembly of the Bahá’ís of Kuala Lumpur. Nagaratnam was elected Secretary, but it was difficult or almost impossible for him to travel all the way from Sungai Petani to Kuala Lumpur to attend to his secretarial duties. This was before the internet was widely available. Nagaratnam rose to the urgent need of the Cause. He asked for a transfer from his school in Guar Chempedak in the state of Kedah where he was a headmaster to teach in Kuala Lumpur. His transfer was approved, but it came with a price. He had to sacrifice his prestigious position as headmaster and serve as an ordinary teacher in Kuala Lumpur. He occupied a small room in the National Bahá’í Centre and lived a very simple life in the absence of his wife. The consolation was that he was able to serve the Cause full time and the secretarial services regained its previous excellent status. Life was not easy for Nagaratnam in Kuala Lumpur. While he was facing so many challenges in the National Bahá’í Centre, he faced frequent discrimination and a kind of unwritten persecution at his school. That situation sapped his energy and happiness. He returned from school exhausted and down in spirit. On a day when he could no longer take the stress, he went into prayer and deep meditation. He found a remedy for all his sufferings. He felt he should leave everything and go pioneering to South India where the prestigious South India Teaching Project was about to come to a conclusion. Manpower was needed to maintain the tempo and consolidate the victories already won. But this decision came with a price. Had he gone on optional retirement one year later he would have been qualified to receive his monthly pension. But he tendered his immediate resignation, thus losing all his eligibility for a pension. His relatives advised him against what they considered “a hasty and insane” decision. They urged him to reconsider. But Nagaratnam was already decided. His answer was simple, “What is the guarantee I would be alive the next day?” This was the time when his wife Rajambal who was a senior supervisor with the Telecommunications Department stood firm and urged her husband to proceed with his plans. So off he went to South India, sacrificing all his future perks and comfort. A few days before he flew off to Tamilnadu, he was seen seated alone on a chair outside the National Bahá’í with deep thoughts. Throughout his flight from Kuala Lumpur to Tamil Nadu, he was praying. As Nagaratnam alighted from the plane, he uttered, “Here I have arrived Bahá’u’lláh. Make me an instrument in Your mighty hands.” But his great sacrifice paid off handsomely for the Faith. In South India Nagaratnam visited many communities and gave many words of comfort to the believers. With this path of service, he played a great role in guiding and inspiring individuals and institutions. His dynamism was noted by the members of higher institutions and within a few months, he was appointed Auxiliary Board member. In 1981 he went to Trinidad and Tobago where he gave an interview on the Faith in the local television that brought much publicity for the Faith. Within another year he was appointed Counselor for Asia. This was another new phase of dynamism for the Bahá’í life of Nagaratnam, India as well as several Asian countries he visited. His vast experience as a field worker and an able administrator and translator assisted him in serving as an effective Counselor in the region. 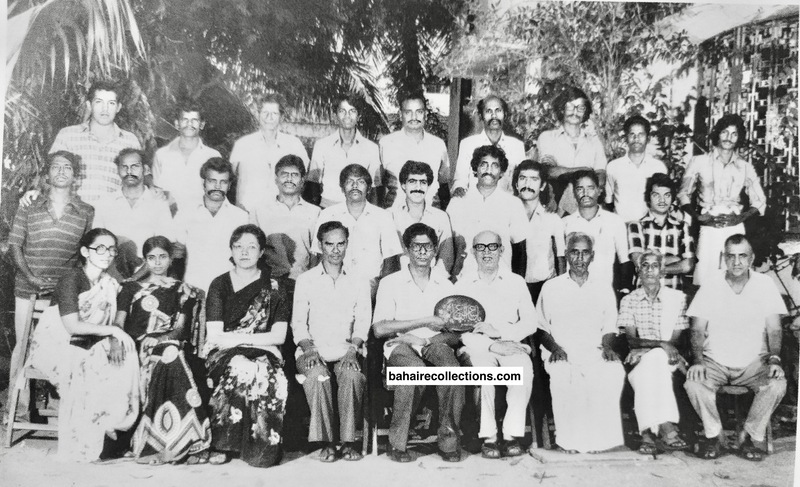 Counselor Nagaratnam with Auxiliary Board Members and some key believers in Chennai, Tamilnadu, 1981. As a Counselor, Nagaratnam‘s thoughts were focused on achieving the goals set by the Supreme Body. He himself was focused on teaching, proclamation, the upbringing of children and preparing them for their future services, consolidating Bahá’í family life, and Bahá’í parenting. Nagaratnam’s previous mature experience as a field worker and able administrator benefited several countries and communities he visited. In his several visits to Malaysia, he met with the national institution and gave much mature advice and guidance. During Nagaratnam’s tenure as a Counselor, he visited several countries, and immersing into the Holy Words seem to be his favorite subject. In South Korea, Nagaratnam got the local believers to understand the Holy Words. He conducted a workshop on the subject of meditation for over sixteen hours in five days. He stressed on the Bahá’í daily recitation of 95 times of Allah’u’Abhá and urged to practice the Bahá’í meditation. He made it clear that man-made meditation practices were like addictive drugs with no clear objective. It must be noted that Nagaratnam developed a heart condition even when he was in Malaysia. The late Captain Choo Yoke Boon taught Nagaratnam some exercises that he as a pilot would do himself. When Nagaratnam tried doing that exercise in 1973, he developed severe chest pain and was admitted into the Sungai Petani government hospital. He was diagnosed with angina, a condition where the supply of oxygen to the heart was not sufficient. The doctors urged him to rest and not travel much. But that advice did not deter him at all. He kept pressing ahead with Bahá’í activities with chest pain what would surface from time to time. When he went pioneering to India, his health was not good, and the doctors urged him to take complete rest and cut down all travels. In 1991, he was admitted to hospital owing to acute chest pain. Upon return to Tamil Nadu, he had so much work to be done that he carried out a very hectic lifestyle. However, in October 1991, Nagaratnam resigned his position as Counselor and returned to Malaysia. It must be noted that while in South India he started to initiate several activities and projects that were highly successful in Malaysia. He was successful in some, but not in all. It would appear that he was a man far ahead of his time. In Malaysia, it took more than one year for him to rehabilitate. He stayed for brief moments in Kuala Lumpur, Butterworth, Sungai Petani, and Bidor towns. While in Sungai Petani he started conducting deepening sessions on the Holy Writings and moved the believers to immerse in the ocean of His Words. Once his health was fairly restored, he started off another new phase of dynamic activities, this time as Chairman of the National Teaching Committee. He, along with other members of this committee moved all over the country and gave all the encouragement to teach and serve the Cause. This was one more period of dynamism in his Bahá’í life. He also embarked on translating some Bahá’í books into the Tamil language. He provided to the National Spiritual Assembly a list of books he intended to translate. However, ill health prevented him from translating any books apart from the Kitáb-i-Aqdas, Gleanings from the Writings of Bahá’u’lláh, Prayer books, and the Hidden Words. On Tuesday, 1 September 1998 his wife passed away and he became devastated and lonely. He was also sickly and wanted to live on with someone caring for him so that he could serve the Cause effectively. In November 2000, Nagaratnam got remarried to Ms. Sammireh (Sammi) who was a teacher and pioneer in Hadyai, in South Thailand. This opened another phase in his life. They teamed up very well to serve the Cause in that part of the world. Sammi’s brother lived in Beijing with his Chinese wife and baby. In December 2001, Nagaratnam and Sammi came to visit them. On this trip, they also stayed with Counselor Firaydun Mithaq in Shijiazhuang, the capital city of Hebei province. There he gave a talk about the “Modern Age and Elimination of Prejudice” to an assemblage of over two hundred students and some teachers in Railway University where Firaydun worked. He also gave a fireside to students who came to the home of Firaydun to meet Nagaratnam. China visits in 2001. 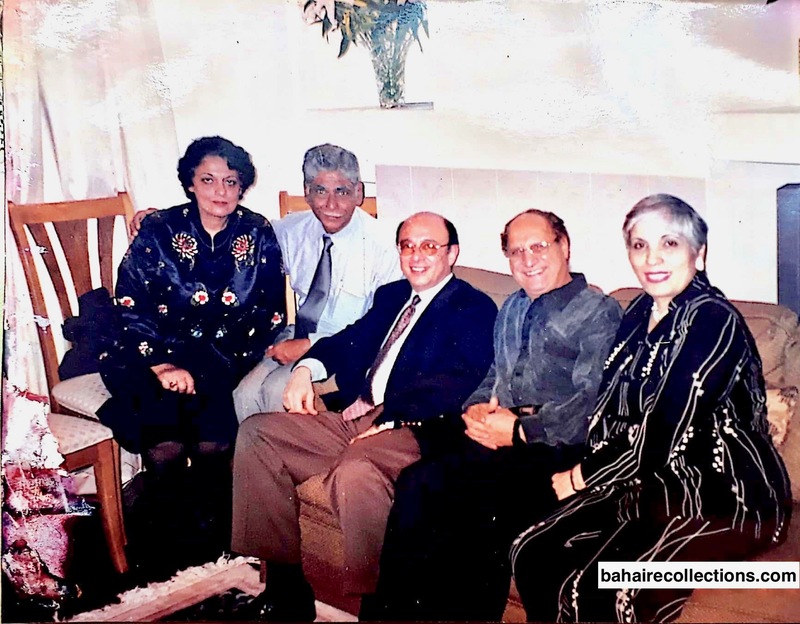 From L-R- Sammi, Nagaratnam, member of the Universal House of Justice Dr. Farzam Arbab, Firaydun and Giti. On Naw-Ruz 2002, Nagaratnam and his wife went pioneering to Fiji. During that year they spent one month in Samoa and one month in New Zealand. Nagaratnam conducted a workshop on collective workshop for community development, that helped and strengthened the communities everywhere. At the 50th Anniversary Celebrations of the Faith in Alor Setar, 28 August 2010. Despite old age while in Hadyai, he found ways of promoting the best interests of the Cause. When ill health forced him to slow down, he resorted to his favorite area of service — translation of Bahá’í literature into Tamil. He spent his last days praying and going through the Writings and communicating with his old friends through email or visiting them in person whenever he was able to travel. His spiritual children from Malaysia made it a point to visit him often, including on his birthdays, and returned with an uplifted spirit. 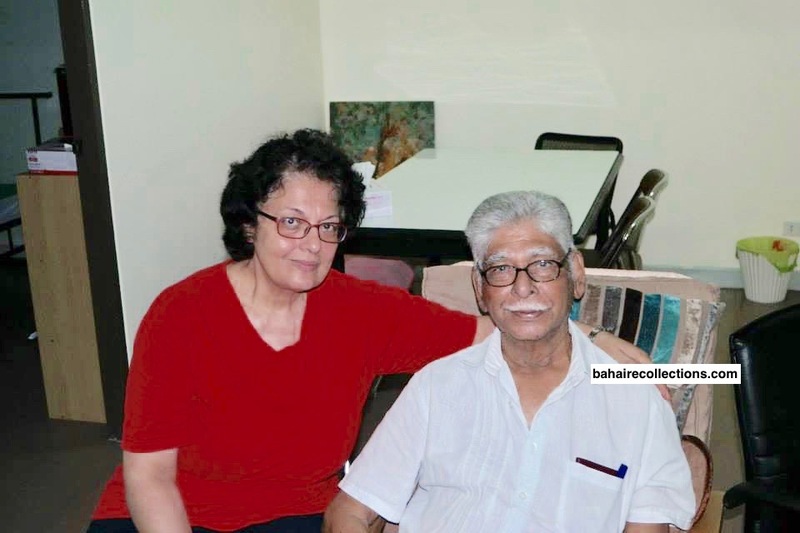 Towards the very end, Nagaratnam became bedridden, and this was the time when his wife Sammi sacrificed much for him by looking after him day and night. His precious soul ascended to the Abhá Kingdom on Sunday, 25 March 2018 following a month of acute illness, plunging believers known to him into deep and inconsolable sorrow. 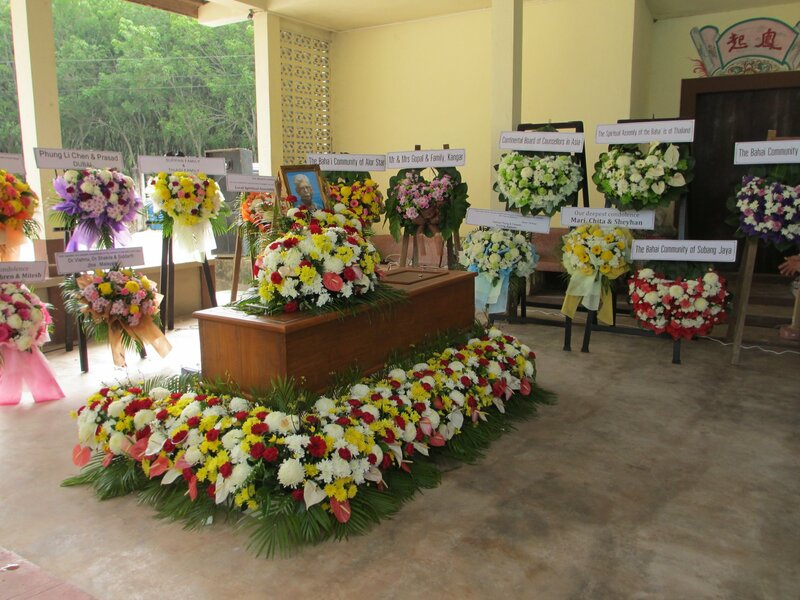 He was laid to rest in a burial ground in the Thung Lung Chinese cemetery, some 20 kilometers south of Hadyai, South Thailand, thus enabling his bones to be buried overseas with his boots on as a pioneer. Nagaratnam was given a befitting and dignified send-off. As a person, Nagaratnam was a great comforter to the wounded hearts. Many Bahá’ís — young and old, went to him for advice, guidance, and assistance in both Bahá’í and private matters. He was an advisor to many families as well. Such families consulted him on family matters. At a time when Nagaratnam accepted the Faith, he was the main person conducting Bahá’í marriages in many communities, at a time when such marriages were rare. He was a true comforter of the downtrodden and the needy. He was a source of strength to those who were down in spirit. He was one of the greatest motivators for the believers and gave all the strength one would need to serve the Cause. All his thoughts were positive. Many individuals who sought his advice and guidance have by and large done well in their career and Bahá’í service. He was not only a spiritual father of hundreds of believers, but had also fathered several communities which have today grown big. Having been immersed in the teaching profession for decades there could have been times when he was hard-hitting, but he always made it clear it was all for the good of the believers. In all his advice to the believers, he warned them against the cancerous disease of ego eating into their very being. Whenever someone brought achievement for the Cause, he would point out to Bahá’u’lláh as the prime mover of those achievements, with believers simply playing the role of instruments in His mighty hands. Nagaratnam urged believers to learn and understand the majesty and greatness of Bahá’í institutions. He urged believers to differentiate between Bahá’í institutions and individuals. His constant advice to believers was to have unshakable faith in Bahá’u’lláh and His prayers. There was an incident when Nagaratnam was driving his Volkswagen car near his school when the car met with a head-on collision with a car coming in the opposite direction. As the car collided, he shouted “Ya Allah-El Mustaghath.” The oncoming car was badly smashed and thrown into a paddy field, with the driver badly injured. Nagaratnam’s car had little damages, with Nagaratnam himself coming out of the car with a smile. This news spread and that was the time when many believers had heard of that powerful invocation for the first time. Nagaratnam had once stated to the author that he had witnessed so many miracles in his life, that could be compiled in a book. Nagaratnam was able to serve with such a dynamism despite his failing health from the year 1973 is a miracle that all believers readily acknowledged. In many of his travels overseas he had been admitted to hospital or sought medical treatment. His visits to doctors increased as time passed by. It was often said that Nagaratnam served with a spirit more than his physical strength. Time will always portray Nagaratnam as one of those who stood firm in the Covenant and supported the institutions under all situations. He was full of love for the Bahá’ís and the Faith. He was well respected both within and without the Faith for his straight and upright character and the sincere love that he radiated. With his passing the Malaysian Bahá’í community has been robbed off one of the greatest followers who had consecrated his entire effort and energy wholly to the cause of God until the last breath of his life. The Bahá’í community today mourns the loss of one of its most distinguished servants whose exemplary spirit and unshakable loyalty will be cherished for posterity. Nagaratnam is certainly one of the greatest legends of our time.